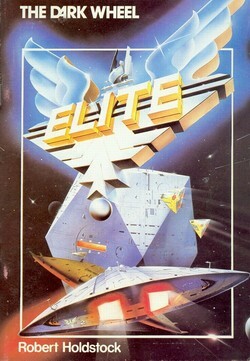 With each game in the Elite series there has been officially produced novella and other short fiction, which is perhaps also another reason for Elite’s huge success over the last thirty years. For Elite: Dangerous, Frontier Developments have not only decided to continue this, but step-it-up a little too! First, a little Elite fiction history. Elite 4 Kickstarter project is now funded! The people have spoken! Well, to be more specific; the fans have spoken — all 25,681 of them. Which means that Frontier Developments Kickstarter project for the Elite: Dangerous sequel has now reached their £1.25M goal. I’ll have to confess that I was getting a little worried when with less than three days before the deadline they we’re still short by a couple hundred grand, but my concerns were not required as apparently it’s normal for Kickstarter projects to get an influx of pledges in the last hours. Elite 4 was no different and eventually topped out at more than £1.5M. The additional pledges means that Frontier reached two of their Stretch Goals, so they’ve now committed to releasing a Mac OS X version along with an additional ten ships at launch. A few days after Frontier Developments created the Elite: Dangerous Kickstarter project they also posted a "call to arms" video, which has David Braben giving a small introduction, before going on to talk about the history of the Elite games and the kinds of things we can expect from the upcoming sequel. I've made a transcript of David's introduction, followed by the video itself. Elite: Dangerous - Artwork Revealed! If you we're ever in doubt that Elite 4 was never going to happen, that Frontier Developments haven't been working on this project for years, then take a look at these images! Obviously Frontier have been planning this project for a long time and these are just the latest concept artworks to be posted to their Kickstarter page! There's a lot of detail in this image. If they can bring that into the game then it's going to look awesome! Elite 4: Dangerous, set for 2014 release! David Braben, co-creator of the original 1984 ELITE computer game, has just announced that the next game in the series will be released in March 2014. Elite 4 has been in development for the last couple of decades but has suffered from several false starts...until now. Braben isn't willing to go directly to a publisher for fear of their insistence on changing the format to something which neither he nor the fans would like. 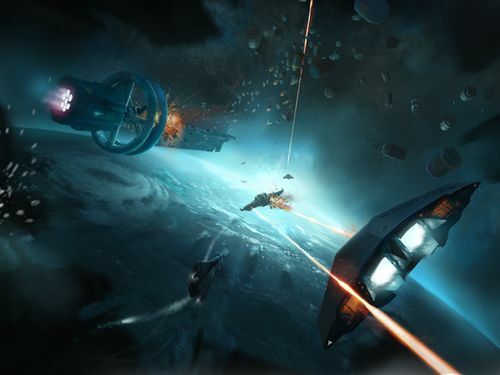 So, a couple of days ago a new Kickstarter project was set up and Frontier Developments are hoping there'll be enough up-front interest for them to create the perfect Elite sequel; a game that feels more like the original “Elite” to fly, and with more rapid travel (to allow for the multi-player nature of the game) – so you travel quickly using local ‘hyperspace’ travel rather than by fast-forwarding time – but with the rich galaxy of Frontier – and more, so much more.